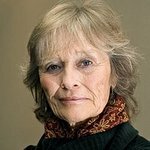 The star of the 1966 classic wildlife film Born Free, Virginia McKenna, is the special guest at this year’s 6th San Francisco Green Film Festival. This is the first visit to the U.S. that Ms McKenna, based in the UK, will make as part of the 50th Anniversary celebrations. Ms. McKenna and her late husband Bill Travers played real-life husband and wife team George and Joy Adamson and told the story of their efforts to return an orphan lion cub, Elsa, to the wild. Born Free, based on Joy’s best-selling book, is regarded as the first mainstream Hollywood film to spotlight a conservation issue. The film is being shown at the 6th Green Film Festival as part of its Keep It Wild theme. The Festival will be presenting its annual Inspiring Lives Award to Ms McKenna for her remarkable efforts on behalf of wild animal welfare and species conservation. In 1984, together with their eldest son Will, Virginia and Bill founded their wildlife charity. Today, the Born Free Foundation and its sister organization Born Free USA, strive to prevent the suffering of wild animals exploited in captivity and protect threatened species and their natural habitats. Upon the film’s release, the story of Elsa the Lioness captured hearts around the globe and was regarded by many as the start of a new approach to wild animals which recognized each one as an individual in need to protection. Virginia McKenna said: "I am extremely honored to have been invited to attend the San Francisco Green Film Festival, and thrilled that the film Born Free has been chosen to close this wonderful event. “It is a unique story about two extraordinary people and an equally unforgettable lioness, called Elsa. But it is almost impossible to believe that half a century has passed since the film was released! It was a film that changed our lives forever and introduced us to the fascinating and increasingly vulnerable world of wildlife. This red-carpet event will include a VIP reception and special screening of a stunning new 4k digital restoration of Born Free courtesy of Sony Pictures Entertainment. Ms McKenna and her son Will Travers, President of the Born Free Foundation, will explore the issues further in conversation with the audience after the screening. Tickets for the screening of Born Free at the Green Film Festival’s Closing Night on April 20 are now on sale. The Festival, running Thursday, April 14 through Wednesday, April 20, comes to a conclusion just before Earth Day on April 22. Over 4,000 attendees are expected at the 60 film screenings, workshops and parties across seven days. Find out more about the 6th Green Film Festival, which takes place at the Castro Theatre, the Roxie Theatre, Koret Auditorium at the San Francisco Public Library Main Branch, and several venues in Berkeley.